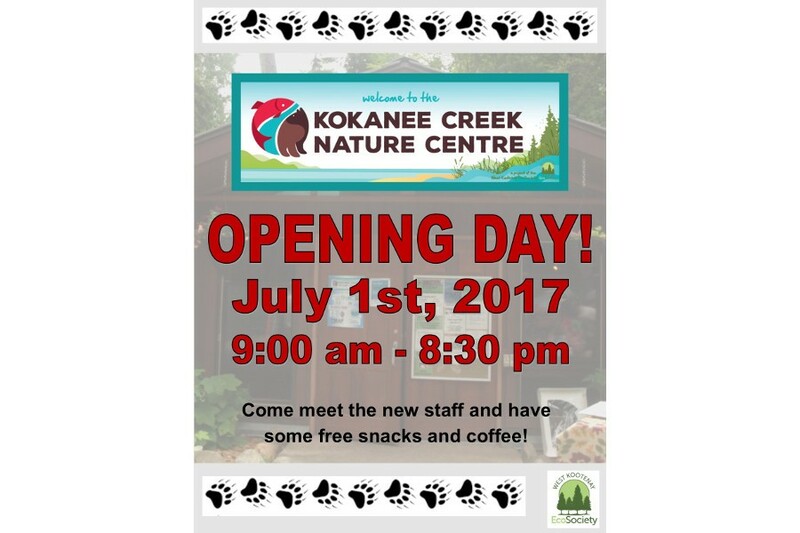 Kokanee Creek Nature Centre Opening July 1st! Hello from the Kokanee Creek Nature Centre’s new coordinator Heather Ling! I am a local girl, and part of the fourth generation of Ling’s to make their home around Kootenay Lake. Over the years I have spent lots of time in the mountains, on the lake, and exploring this beautiful area we call home. I am proud to have the opportunity to work for the West Kootenay EcoSociety because of the great work they do in fields of sustainable food systems, climate change, and conservation in the West Kootenays – a place I hold close to my heart. I am very excited to announce that the Nature Centre will be opening this Saturday, July 1st at 9:00 am. There will be free snacks and coffee available, the new staff will be available to answer questions, and the naturalists will be around to teach you a little something about the awesome ecosystem that is Kokanee Creek Provincial Park.